Still Life with Bottles, Oysters and Hooves is the Spring 2017 Informational Pamphlet from Brain Washing from Phone Towers. 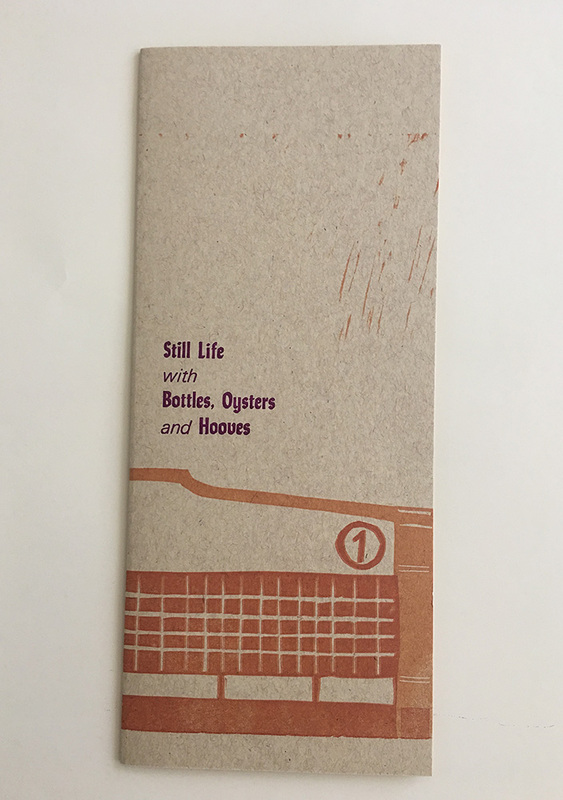 Still Life is about the western edge of Jamaica Bay, where a piece of land called Barren Island played host to grazing animals, then factories that turned dead animals into industrial products, the community of workers who worked in them, and finally the city’s first airport. Learn about nineteenth century waste management practices, early aviation history, and find out where you too can get a good source of vintage glassware for your next Brooklyn event. 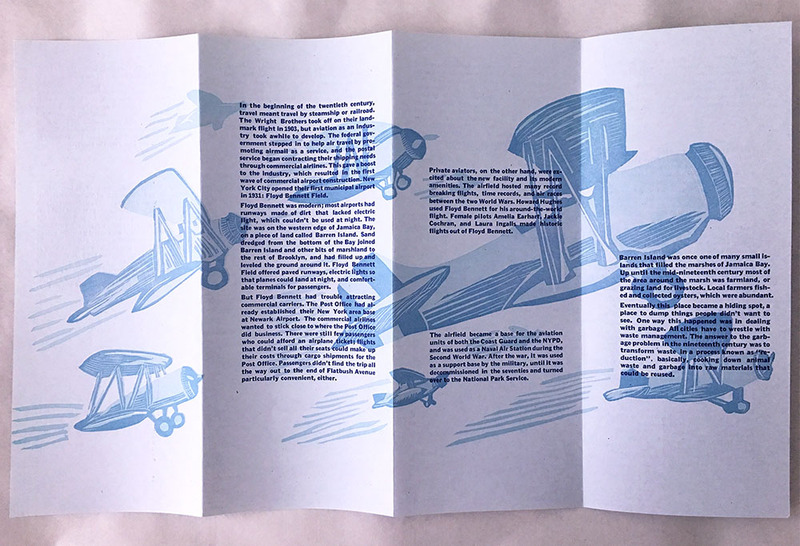 Letterpress and Lino blocks, edition of 200. Spring 2017. Individual copies are available for $20 in the store. 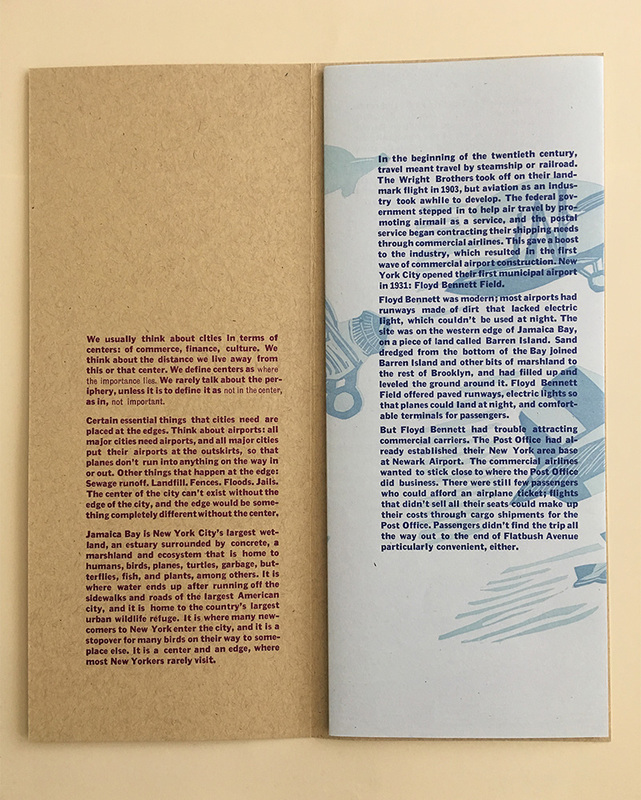 This pamphlet is the first in a series of three about the history, ecology, and communities around Jamaica Bay. Throughout the year I’ll be blogging intermittently about Jamaica Bay, and posting photos. 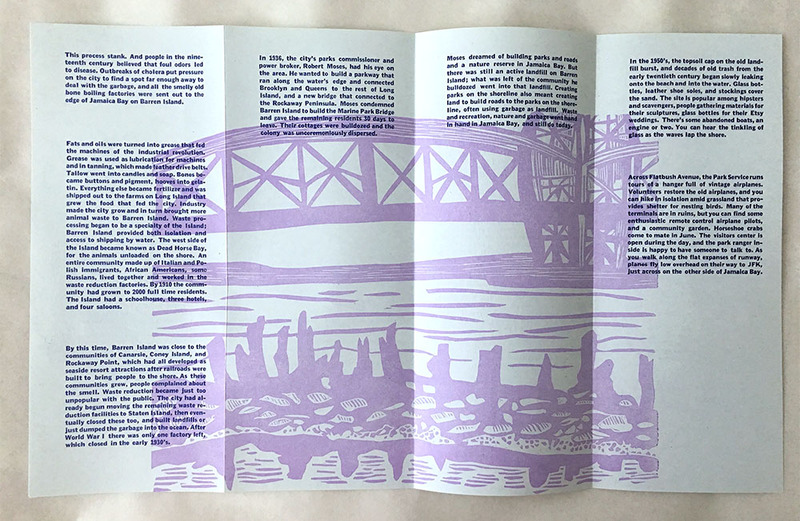 The Jamaica Bay Pamphleteering Project is sponsored, in part, by the Greater New York Arts Development Fund of the New York City Department of Cultural Affairs, administered by the Brooklyn Arts Council.